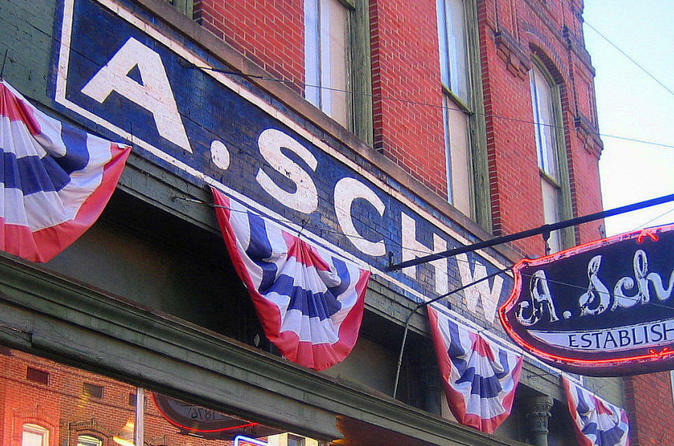 The tour includes A. Schwab's old fashioned general store and soda fountain founded in 1876 (the city's oldest business), Handy Park, where you can hear the sounds of Memphis, and the original Lansky Bros. Clothing store, the "Clothier to the King," where the young Elvis Presley adopted his signature style. You'll also see the historic Gallina Building and old Saloon Row, including one of the most notorious early 20th century whiskey dens known as "The Castle of Missing Men." The tour ends at 12:30pm at BB King Blues Club.